See scan - very good condition. 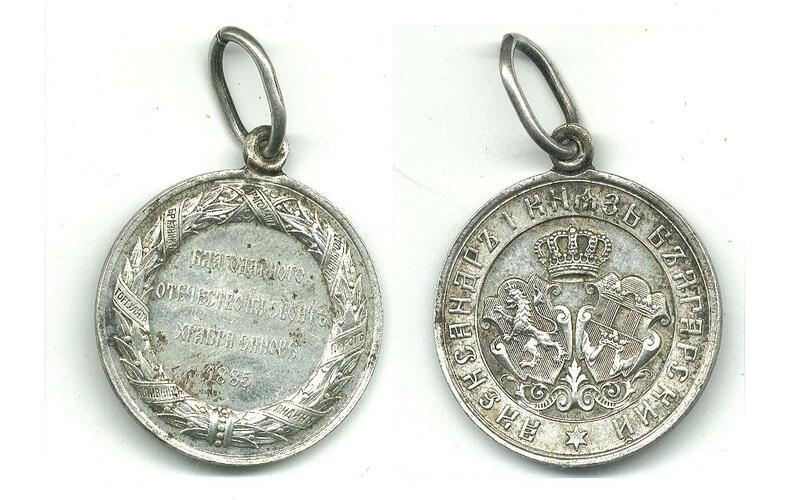 This is a nice and rare Bulgarian Royal 1885 - 1886 Serbian / War with Serbia sterling silver issue medal. The medal is from the reign era of Prince / King Alexander I Batenberg. Nice and scarce militaria / military collector group and one of the rare earliest Bulgarian medals.